The construction of the Riverfront arts centre was paused while excavation work could be carried out. At first, the archaeologists worked under the assumption that only a small number of timbers would be recorded and conserved, resulting in some timbers being discarded. However, after the National Assembly announced its £3.5 million plan for full excavation, attention focused on how this could be achieved. An early suggestion was to cut the ship into a number of large ‘sections,’ but space constraints and the penetration of the hull by numerous concrete piles meant this was not a realistic option. It was then decided to take the ship apart piece by piece, in reverse order to its original construction. The timbers were then lifted out of the site by crane and put into temporary fresh-water storage. Softwood wedges had to be driven between some of the timbers to allow access to saws. The wooden treenails that held the outer hull to the framing timbers were so well preserved that modern saws lasted only a few days cutting through them. The iron clench nails that held the hull planking together, on the other hand, were highly corroded and broke with ease. 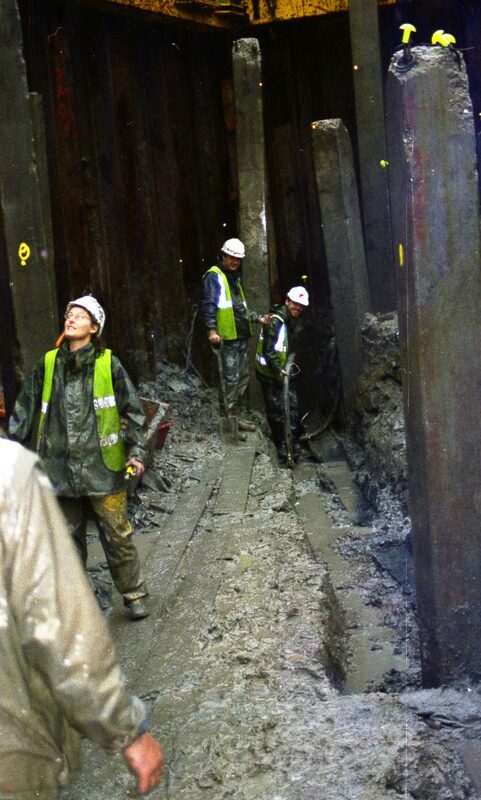 The excavation of the ship took several months. 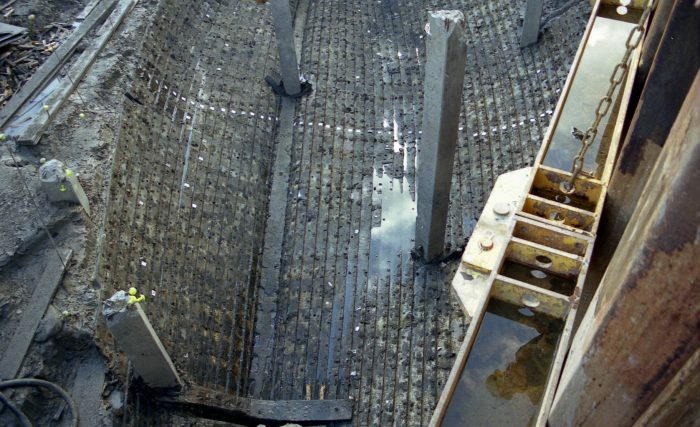 The last piece of the keel (backbone), which had to be cut into pieces, was lifted in early November, and the initial excavation phase ended in December. However, attention then turned towards the ship’s bow and stern, which had been severed by the coffer-dam and lay outside its limits. 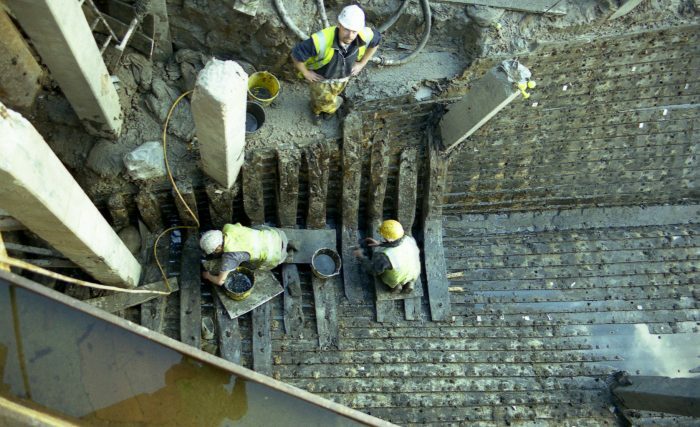 In April 2003, Oxford Archaeology were employed to recover the bow, but the stern was considered too dangerous to excavate. The timbers were taken to Llanwern Steelworks, where Corus (now Tata Steel) had offered up a disused unit. Here, they were kept in a series of freshwater tanks, ready for the long conservation process.